I get the hypocrisy of me making this meme, but it does need to be said...I think everyone is getting tired of them. Socrates not a laid back upvote fairy? 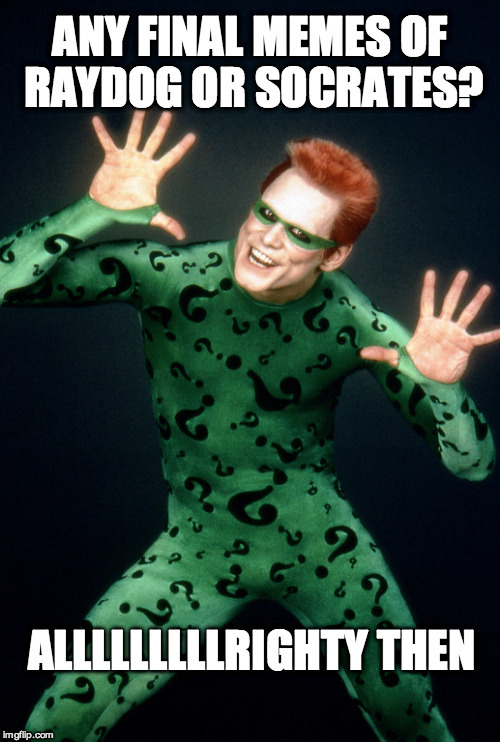 Even in real life, being a celebrity is lame; how much more so, when it's just memes? Yeah. But it is kinda attractive to enjoy in people knowing you. But when the joke is just about that, it's not funny at all. Thanks...I remember upvoting and commenting on your Raydog meme...it was a Gandalf meme. If you keep making them this good, how can we get tired of them? 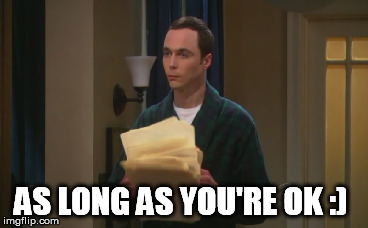 There have been a lot more memes made about you on this site than about me, but still... I'm sooooo happy this made it to the front page. A lot of people won't listen, and will keep making memes about us for no good reason, but hopefully, some people will pay attention to it - and realize that if there ever even was a time when that kind of meme was funny, that time is long gone. It's true! He's advancing really fast. 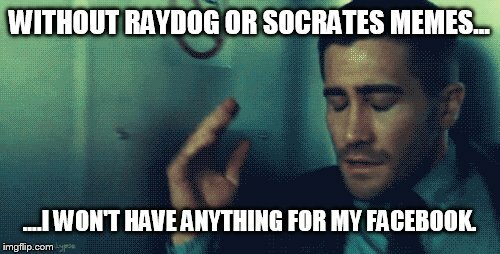 Raydog... you better keep posting memes. I'm East Coast. But. It may have been the other one with this pic. The post a funny comment one. Only cuz he isn't really active anymore...he can still get on the front page...believe that. I appreciate that...but we're not meme gods...we're just good at what we do...and people laugh sometimes...that's all. 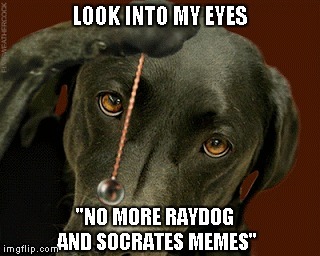 LOOK INTO MY EYES "NO MORE RAYDOG AND SOCRATES MEMES"